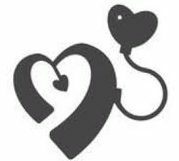 Southern Counties Cochlear Implant Support Group – We stick together! The Southern Counties Cochlear Implant Support Group, affectionately known as SoCo, comprises candidates and users (and parents) in the south of England who received their Cochlear Implant (CI) at the University of Southampton Auditory Implant Service (USAIS). Our aim is to provide a support and social network to enable CI users and candidates to get together, both on our Facebook Group and at social gatherings, to share experiences, ask questions, give support and make friends! We welcome partners, friends and family too! We aim to host a social event every couple of months, centring in Portsmouth/Southampton but also north into Wiltshire, west into Dorset and east into Sussex. The Group is run by volunteers, with no funding. We are not a brand specific group and welcome all brands of implants and everyone regardless of their hearing background, whether it be born deaf, late deafened, sign or don’t sign. We are also very proud of our honorary members – our hearing dogs! Our members Facebook Group can be found at …..
…. it is a closed Group, which means you need to request to join, but also means all posts/comments are confidential to members only. All you need to do to become a member is submit a request to ‘Join Group’, answer a couple of quick questions and then one of our Administrators will approve your request and welcome you aboard. We can also be contacted via email at cisoutherncountiesuk@gmail.com (or use the contact form above). We are very much looking forward to welcoming you to our fun and friendly group! Sandra, Caroline and Sarah – your Admins!